Opting for this lovely lunch box is a great way to keep the food fresh for a long time. 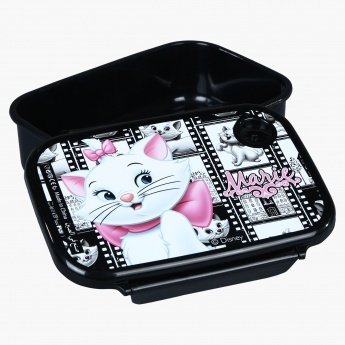 Exhibiting a Marie print, this lunch box looks captivating and is sure to be loved by your little darling. It has three trays to segregate various food items easily.